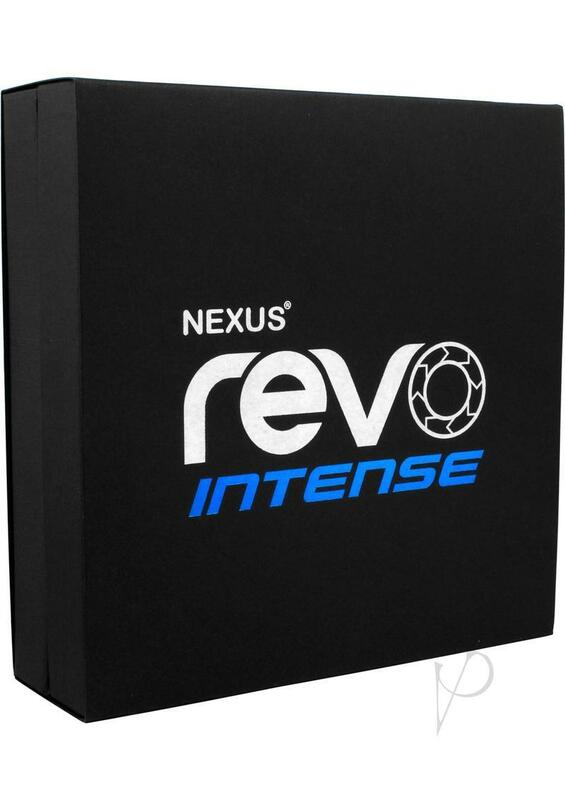 Nexus Revo Intense delivers precision stimulation to the prostate for those that want a more intense ride. Designed to literally lock in to the masculine form and directly stimulate the prostate and perineum simultaneously, this Revo is the most intense ever! Revo Intense is an innovative rotating and vibrating prostate massager that gives a truly deep stimulating massage. Choose from 2 shaft rotation speeds and simultaneously enjoy a choice of 3 settings that deliver vibration to the perineum. With Revo Intense there is no need for batteries. Simply charge using a magnetic USB charger included and you will get 10 hours of play for four hours of charge time. REVO Intense is made from silky smooth silicone which is hypo-allergenic and has a plastic base to make it easy to handle. It's water resistant and splashproof so you can clean it easily, but do not submerge it in water.